Welcome to The Foot and Health Clinic—your family foot care clinic! We provide foot care and custom orthotics to help relieve pain and treat foot problems. Our foot care clinic serves the Burlington, Milton, and Oakville area. We go a step beyond in care. 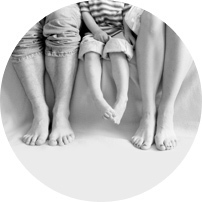 The Foot and Health Clinic offers foot care services for the whole family. 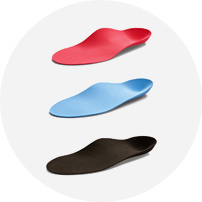 Keep your feet healthy with custom orthotics and foot care treatment from our registered chiropodist. 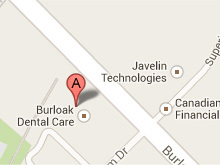 Our clinic is located at 728 Burloak Drive in Burlington (just south of the QEW). Visit our clinic to find out how we can treat your foot problems. Are You Doing Your Laces Up Properly? The Foot and Health Clinic is your family foot care specialist serving residents in the Burlington, Oakville, and Milton areas. Our registered chiropodist can help relieve foot pain, treat skin conditions, and set you up with a pair of comfortable custom orthotics. Visit us for all of your professional foot care needs and see the difference we can make in your step. Is there anything else you want us to know?